Gillian Sangster, 47, was our first ever female winner and has done both Starman events, in 2017 and 2018. She is a mum of two teenage boys and has been running since they were little. After about 5 years of running, Gillian started taking it seriously, winning lots of local races, some national age group medals, and running for Scotland at the British Masters Cross Country Championships in 2014 and 2015. 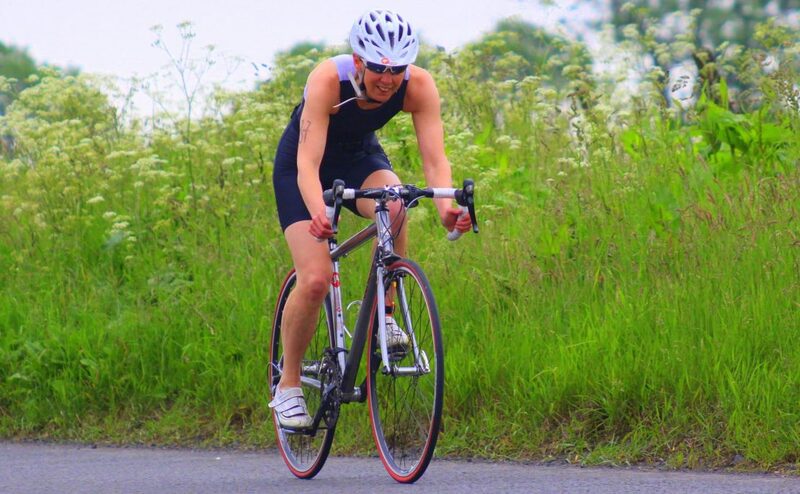 After picking up an injury, she was persuaded to go to her local triathlon club, Monifieth M3, and loved it. She soon qualified for the European Age Group Championships at the Sprint distance in 2017, and then also did the Standard distance in Estonia in 2018. Starman is the longest race Gillian has done and here she tells us about her experience. Starman: Tell us why you chose Starman? Gillian: I like to do different and exciting things! It was on my birthday, so was a birthday present to myself! Starman: Have you raced at night before? Gillian: I’ve done quite a few running races at night, but haven’t done a triathlon at night! 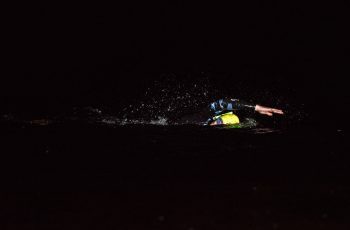 Gillian: Longer bike runs in the dark, plenty of open water swimming (not in the dark), as much running as possible up hills. Starman: What training tips do you have for others? Gillian: Do more hill running! Also, run some hills after a longish cycles. Starman: What were the best and worst parts? Gillian: The swim was definitely the best part. 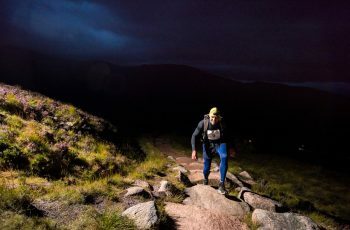 The worst was running down Cairngorm when your legs don’t work – the long slow hill up to the bottom of Meall a Bhuachaille is tough. Starman: What’s your favourite fuel? Gillian: Peanut butter and jam sandwiches, and Jelly Babies. We hope to see you back at the shore at midnight again Gillian!